Sanctuary-by-the-sea offers a range of treatment packages that will leave you feeling radiant and revived. Our packages are specially designed for both men and women and are aimed at helping you to relax, unwind and feel pampered. Ideal as a gift, or as a well deserved self-indulgence. Contact us now to book your luxurious treatment or to get more information. Your treatment begins with a foot ritual, followed by a sea salt scrub to eliminate rough, dry skin. You will then be enveloped in a luxurious paste to create warmth and nourishment. Gently sleep in a candlelit haven whilst experiencing a relaxing foot massage. 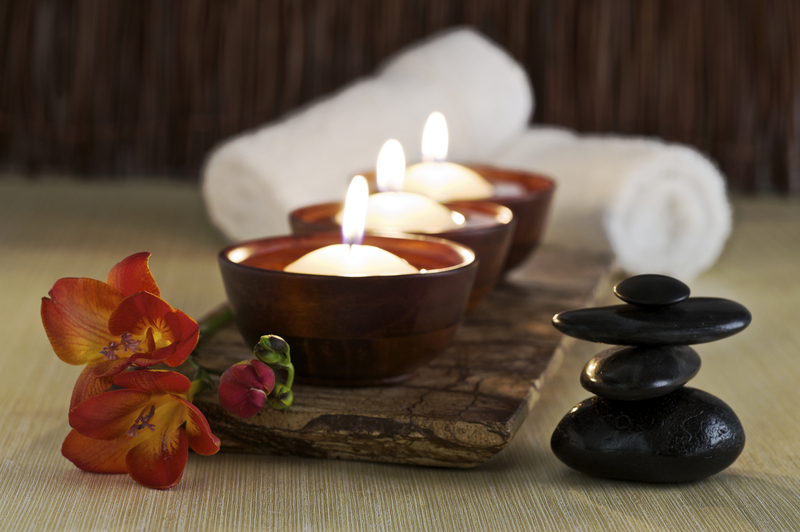 This treatment finishes with an invigorating, wakening balm and a back, neck and shoulder massage. After a relaxing foot ritual a sea salt scrub is applied to eliminate rough, dry skin. This is followed by a Tension-Release full body massage with our secret warming ingredient. You will then be enveloped in a luxurious paste and wrapped to ensure all muscles and joints are cocooned in a blissful wave of warmth. Relax in an atmosphere of candlelit serenity whilst your therapist cleanses your skin and performs a relaxing Resultime facial treatment to erase stress and tension. This treatment finishes with an invigoration wakening balm and a treatment cream for your face. A foot ritual commences this relaxing treatment followed by a sea salt scrub to polish and smooth your skin. Relax in a candlelit haven whilst your therapist performs a bespoke Resultime facial to revitalise and erase stress and tension. A luxurious hot oil manicure and pedicure will nourish and rejuvenate hands and feet. Complete pampering from head to toe! Our most luxurious treatment package. Begin your experience with a relaxing foot ritual, followed by a deep body exfolitation with a sea salt scrub. A nourishing Nutri-Comfort body wrap will envelop you in warmth and nourishment to leave your skin soft and satiny smooth. Sink into a deeper state of relaxation with the Hot Lava Shell Deluxe treatment, where heated Tiger Clam shells are skillfully glided to perform a lavish full body massage. The serenity of your treatment room and the scent of Green Tea and Mango oil will transport you to the warm beaches of the Tropics. A treatment package designed specially for men. Your treatment begins with a complete body exfoliation followed by a Tension-Release full body massage to relax stressed muscles. Relax and enjoy a scalp massage and an Intense Hydration Facial that will soothe and nourish your skin. Designed to indulge and relax the body during pregnancy on the areas that need it most. Your treatment begins with a foot ritual, followed by an indulgent full body Pregnancy Massage performed with warm oil to nourish the skin and improve circulation. A Resultime facial will refresh and revitalise your skin, whilst the Sanctuary Pedicure will soothe and invigorate aching and swollen feet. Create your own special treatment package with the choice of the following treatments. Each treatment lasts for 20 minutes and a minimum of 2 treatments are required.